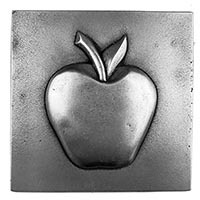 Alloy Arts is now New-Spin Metal Casting. 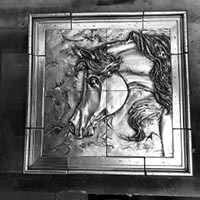 Located in Mesa, Arizona, we have been the premier manufacturer of handmade solid metal art tiles in the United States for over 15 years. 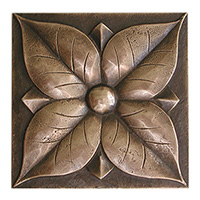 Our tiles and murals begin as hand-carved wooden models and then are sandcast-one piece at a time-from solid recycled bronze and aluminum. Our skilled artists then polish and hand-apply unique patinas to each piece. 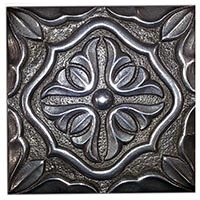 Unlike products that are thinly plated mystery metals, our beautiful tiles will not only stand the test of time, but will gently improve with age. We offer our products exclusively through a network of over 200 dealer/showrooms throughout the U.S. Our latest brochures are available online by clicking on the buttons to your right. If you like what you see, please call or email us and we'll be delighted to direct you to a showroom nearest to you. 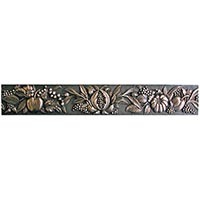 METALS - All products are made in the USA of 1000/o solid recycled metals. No metal coatings, platings or veneers are ever used. Our pieces are all cast and finished by hand, one piece at a time. Alloy Arts tiles are made to last forever. APPLICATIONS - Alloy Arts products are suitable for both wet and dry - horizontal and vertical applications. 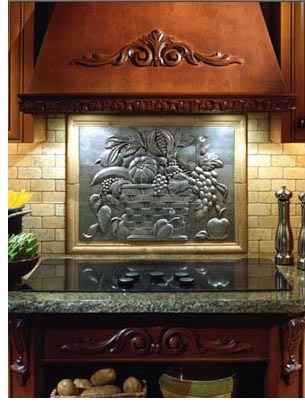 INSTALLATION - All Alloy Arts metals may be installed in the same manner as any tile or stone material. We suggest (1) thin set mortar with latex additive (2) mastic with an epoxy additive or (3) industrial adhesives. Consult with and rely upon your licensed tile contractor. MAINTENANCE - Your solid metal pieces have been hand - sealed. This delays oxidation which occurs naturally in all metals. Consider your pieces as "living art" which will gently darken and gain a softer finish as they age. They may be maintained and polished with a soft cloth and any non-abrasive, non-petroleum based cleaner.